Iran, Sept. 22, 2018 - According to a previous measure of coordination, truck drivers in a variety of cities across Iran launched a new wave of protests on Saturday.  Incoming reports indicate truckers in Yazd, Mashhad, Karaj, Neka, Sanandaj, Bukan, Dezful, Bardsir, Borujerd, Isfahan, Shapur Jadid, Qazvin, Urmia, Bandar Abbas, Bandar Khomeini & the Khorram Abad/Pol-e Dokhtar route went on strike today. These drivers are protesting low paychecks, skyrocketing prices spare parts prices and not receiving any answers to their demands. This is the latest show of protest by Iran’s truckers. Here is a look at the August episode of truck drivers launching strikes that has the potential of having a crippling effect over the mullahs’ control on the economy. August 25, 2018 - On Tuesday, truck drivers in Mashhad and Shapur, Isfahan, went on strike in protest to high prices, low income, lack of access to spare parts, and the government’s inefficiency in addressing their demands.